Threat intelligence has the power to enhance an organization’s security effectiveness, improve its time-to-response, and reduce business risk. No matter where an organization is on the continuum of security operations maturity, threat intelligence can provide significant value. The question is, what is the best way to maximize that value? What advantages can you gain through simple process or technology changes to ensure that you’re ready to respond quickly to the threats that matter? 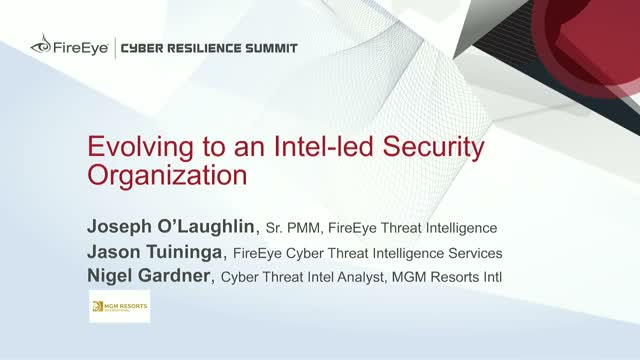 Come hear from our experts about what threat intelligence can do for you, and hear from a FireEye customer who has made this journey, transforming its security operations to be intelligence-led.